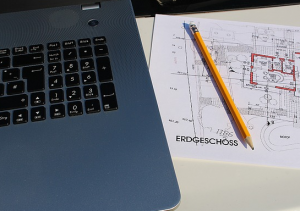 While the construction industry has admittedly been slow to embrace the range of options technology has been providing over the last decade or so, it's coming around, especially in the utilization of construction software. Forget those painful spreadsheets, today's industry software is being used for everything from virtual blueprints to timesheet upgrades. Increasingly, this newer software is being used by managers to manage project sites remotely. Wait a minute! What does this term mean? That a project manager will now never actually visit an active project site? Not at all. But much of a busy manager's time is taken up by various forms of paperwork, much of which is not especially practical to do on a busy site for many reasons. In the past, three of the top ones were lack of office space, bulky equipment, and the lack of appropriate connectivity (i.e., you can't get to the Internet from here). But almost twenty years into the twenty first century, the room sized computer has shrunk into a versatile, often pocket sized personal device that you can even make phone calls with. As the technology grid expands into remoter areas, operators can use these wireless devices with far fewer worries about losing connectivity or data. This means that managers now have to make far fewer trips from sites to other offices, saving time and money. And it also means that the manager has to make fewer trips from the office to distant sites to collect data, because that data is coming to him or her. How is this possible? With online construction management software like Raken's daily reporting app for example, foremen and other employees can use smartphones and tablets to collect task data on site, log it into devices, and file it. The project manager can then immediately access this information, and not only review it, but make corrections or additions and retransmit the data, or send it along to other parties. The result of this virtual office work and collaboration? More accurate and timely filing as it's being done in real time, and less waste in terms of travel, scheduling meetings, and potentially lost paperwork as it travels between physical offices. Raken’s construction project app also accommodates graphics, photographs, and other report attachments. This means that information from different sources can seamlessly be incorporated into a single digital document, saving much effort and unnecessary traveling. Raken's data can also be stored through cloud technology, meaning that "timelines" can be created from data to show stakeholders and other partners everything from project progress to cost savings, again without frequent visits to a site. As a result, online construction software like Raken means more accurate reporting and better project communicating. Going forward, this type of reporting will become the industry norm, as it allows more chances for a manager to get to spend more time on other important tasks when he or she does visit a site.